Vision boards are incredibly popular around the beginning of each new year. Friends start hosting vision board parties and there is no shortage of #GoalGetter and #NewYearsResolution Instagram posts to use as inspiration for your newest workout routine, green smoothie challenge or amazing travel goals. 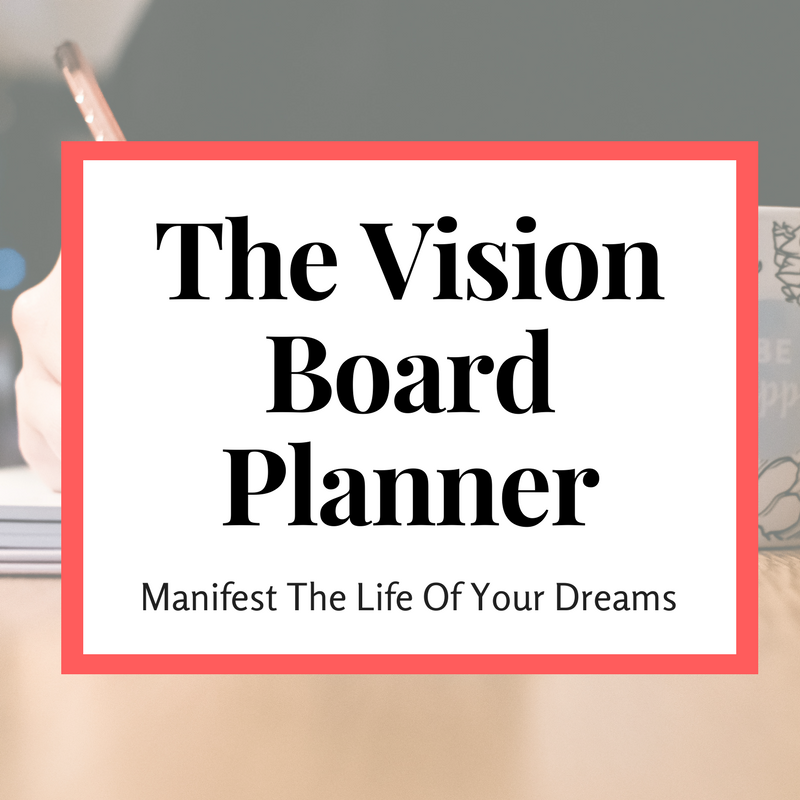 Over the years, I've created several vision boards and each one has pushed me to achieve a new level of success in my education, career and personal life. I am 100% a believer in the power of creating a vision board and speaking your success and intentions into existence. There are three key goals I make sure to put on my board that give me the inspiration to keep going when times get tough. Every one and their mama is familiar with smart goals. So, I won't go through what they are by the acronym. In short, smart goals are well defined goals that focus on one, specific outcome and give you a timeline to accomplish it. It's no surprise that every educational institution, self-help program, mentor and goal-setting guru push people to create smart goals. When used properly, they work. My current vision board has a goal of actually paying down a huge chunk of my student loan and credit card debt. This requires that I focus throughout the year and have monthly check-ins with my accountability partner. I use smart goals for the larger goals that need to be broken down into smaller, bite-sized pieces. Smart goals help you keep your eye on the prize and hold yourself accountable to your large goals over time. Dream goals are those BIG HAIRY AUDACIOUS goals that take you out of your comfort zone and push you to do something you've never done before. One year, I was determined to cross the $75K/year mark, so instead of putting something general like "MAKE MONEY" or "GET RICH OR DIE TRYING" (shout out to 50 cent for the most memorable money line in millennial history) I took out a piece of paper and wrote out $75,000 with a green marker and posted it on my board. This allowed me to set a floor for what I would accept as a reasonable salary for my experience and my field. Having it on my vision board and keeping my vision board visible at all times, it kept my end goal top of mind every day. After several interviews and a large pile of "no, thank you" letters, I had energy and focus in where I was going and what I wanted. Set dream goals that are so big, you'll have to stretch yourself to get there. Even if you don't accomplish what you wanted, you'll be surprised at how far you've come. Lifestyle goals are honestly my favorite type of goal to set. These are the fun goals that speak your intentions into existence. (Don't you just love empowering sentences? 😃) Rather than setting a tangible, results-oriented goal, your lifestyle goal sets the tone for your big vision. I wanted to walk into 2017, shedding the negativity of my past and walking into a life of more adventure. How do you really find a quote for that? You don't! I was able to speak that positivity into my life by getting a collage of pictures and quotes. I found women doing yoga and bold, pink flowers that made me smile on the inside. I added quotes like "YOU DESERVE BETTER" and "LIVE BIG" and "Boldly Going" to constantly remind myself of what type of energy I want to allow into my life. Your lifestyle goals might seem slightly ambiguous, but these will remind you about the person you want to be and give you a simple guide that you can apply to multiple situations in your life. Using all three types of goals on my vision board each year helps me to create specific, granular goals as well as pie-in-the-sky goals that push me to fight harder for my dreams. At the end of the year, I'm always surprised at my progress.